The Executive Director of the Washington, DC-based Poker Players Alliance [PPA], John Pappas, will be stepping down from his leadership role at the lobbying group at the end of February, according to an announcement made by the PPA earlier today. Pappas’s departure from the PPA ends a run of more than a decade in the post, and comes as the group considers refocusing for the future. Pappas, a career lobbyist, joined the PPA in 2007 as the PPA sought to establish a presence close to Capitol Hill to lobby for the interests of online poker in the US. Pappas took over the role as the PPA’s head from the group’s original director, California’s Michael Bolcerek. The PPA itself was founded by a group with ties to the earlier years of Card Player Magazine. Muny, who will take over for Pappas beginning in March, is not a career lobbyist, unlike his predecessor. 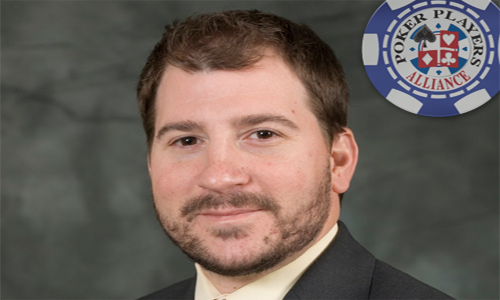 The former Kentucky state representative for the PPA has worked hard on poker’s behalf, first joining the PPA’s board of directors in 2007 and later becoming the group’s full-time vice president in 2011. Muny was once a mechanical engineer (hence his “The Engineer” nickname), before pursuing a full-time career in poker. Pappas himself, as a career lobbyist, is also something of a career mercenary. He hasn’t announced his landing point, post-PPA, but it’s likely to be a reasonably well-paid gig with an established, conservative-leaning lobbying group. It’ll be Muny that will have to keep the Pokers Players Alliance moving forward in the face of that dwindling financial support. Despite its claims to be a grassroots lobbying group, the PPA always received the lion’s share of its funding from corporate entities. Once the original Full Tilt collapsed, PokerStars did most of the PPA funding, both under the original Scheinberg ownership and later under Canada’s Amaya Gaming (now The Stars Group). However, PokerStars has encountered enduring legislative headwinds in its hopes to enter a reopened United States market beyond New Jersey, meaning the PPA has had decreasing value for The Stars Group. Amaya / TSG has experienced plenty of other troubles and financial turbulence in recent years, and all that might be making a continuing PPA buy too pricey for the time being. The changing political climate for online gambling in the United States also affects the PPA in other ways. The lobbying group continues to openly consider adding legalized sports betting in the US to its narrow list of active causes. The focus in the US on both the state and federal level has shifted to sports betting; it’s likely to be that way for the next several years. The PPA has also created a sports-betting landing page and will soon be contacting its membership to gauge consumer interest. The group likely needs to increase donations from its rank-and-file membership, and lobbying on sports-betting matters may offer part of that solution. If there’s a bottom-line takeaway, it’s that 2018 will be a year of sharp transition for the Poker Players Alliance.